Aamir Khan starrer Dangal has finally crossed the 1000 crore mark at the Chinese box office.The film was released on 5th May around 7,000 screens in China. The film has earned $1.69 million on Friday (10.89 crore) and now the film has a total collection of 1041.80 crore at the Chinese box office. Apart from this the film has a 36.50 crore collection at the Taiwan box office. According to him, the reason it has become so huge is that the Chinese connected on an emotional level with the story, the characters and the moments. “I have been reading their reactions on social media. They have been saying things like how the movie moved them and how the characters inspired them so much. It made them realise what their parents went through. Many of them called up ther parents and cried. It’s a very emotional reaction. That is what has made the film really work,” he added. Dangal is directed by Nitesh Tiwari and it is produced under the banners of UTV Motion Pictures and Aamir Khan Productions. 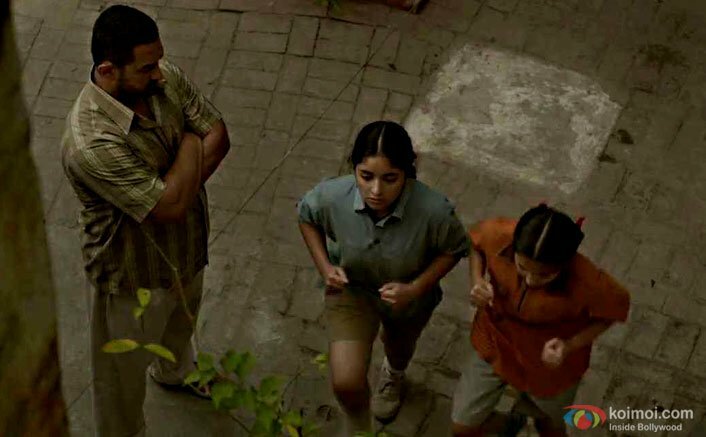 The film also features Fatima Sana Shaikh, Sanya Malhotra, Zaira Wasim, Suhani Bhatnagar and Sakshi Tanwar in key roles. The post Dangal Continues To Score High At The Chinese Box Office appeared first on Koimoi. Will Dangal Make It To The 1200 Cr Mark At The Chinese Box Office?